I was on a hunt of a few cookery books just to add to my small collection on my book shelfs for a while now. Perhaps it was the surge of free recipes online from bakery blogs and communities that I find buying books to be a bit redundunt. Despite that, once in a while, I yearn for those weekends where I can just lounge at my own room, sip some tea, eat some scones and flip through some cookery books with mouth-watering graphics. I have been to a few books fairs this year held by Popular, MPH and more and none of the books (within my price range) caught my fancy. When I knew that Page One is going to have their own book bazaar, I knew that I had to visit them. There were a huge array of cookery, lifestyle and design / art books for sale! I was on cloud 9 when I saw those books! 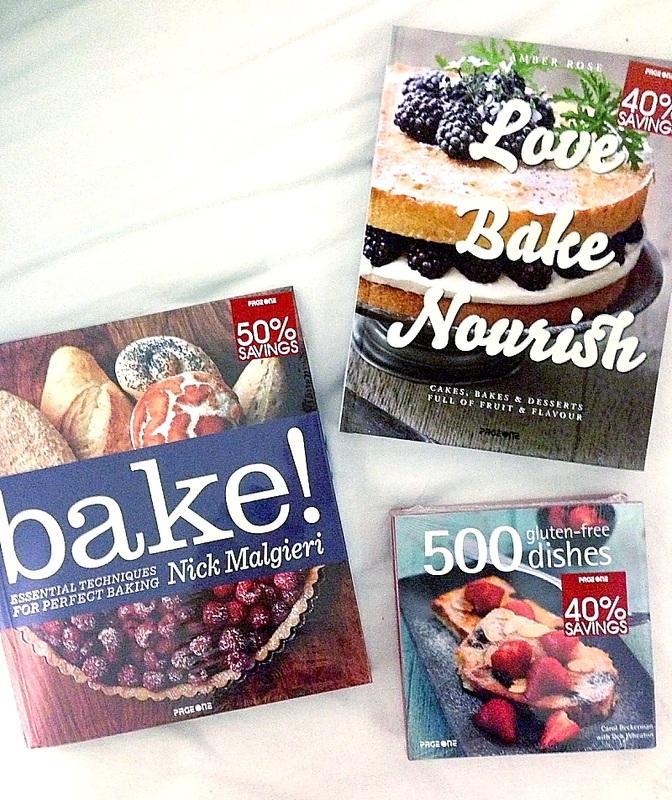 Luckily, I managed to control myself and bought 3 cookery books at a steal! Love Bake Nourish was originally $27.71. After discount it is $16.63. After discount, it is $14.39. 500 Gluten Free Dishes was $15.94 originally. After discount, it is $6.38. If you are a hunt on a few good books, you know where you should be! Last day of sale is today!